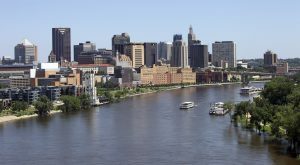 The affected hospitals, all in the Minneapolis-St. Paul area, are operated by Allina Health, a not-for-profit network of hospitals. Allina and the union behind the strike, the Minnesota Nurses Association, entered contract negotiations four months ago. Under the disputed Allina proposal, nurses will be transferred to a plan that covers thousands of other Allina employees, which comes with lower premiums but higher out-of-pocket costs. The switch — which nurses expect to cost them considerably more — would save the company $10 million a year. Nurses expressed additional frustration over what they say are unsafe working conditions and meager nurse-to-patient ratios. These shortcomings end up hurting patients, nurse Angela Becchetti said. “If you have a loved one coming to the hospital, they might not get the best care, because if your nurses are dealing with another patient, or aren’t able to attend to your loved one because we don’t have enough resources on the floor, that’s concerning,” she told Public News Service, a news organization based in Colorado. For Valerie Johnson, a children’s psychiatric nurse, choosing to strike was a difficult decision. The last time nurses in Minnesota walked out was in 2010, when nearly 12,000 nurses went on strike over workplace safety. That strike lasted one day. This time, union leaders expect the extended strike to send the message that nurses need to receive good care in order to provide good care.